Greg Growden has stared deep into his crystal ball to see what 2015 has in store for Australian rugby. His tongue may be firmly in cheek in saying his sooth - or it may not - but we can actually see the truth in many of his fearless predictions. - Waratahs players lobby Randwick Council, demanding the infamous set of steps where Michael Cheika tortures them on during the off-season, forcing them to run up and down them for hours on end, must be placed off-limits as it is unsafe for humans. Wallabies representatives have also heard about these stairs and, realising Cheika will be ballistic in the lead up to the World Cup in trying to ensure that his players are fit, will start lobbying their own state and federal members. - A media plea for George Smith to make himself available for the World Cup campaign. Topo Rodriguez is also approached by the Wallabies hierarchy to see whether he can still scrum. - 10.17am, January 1, will see the first Michael Cheika blow-up of the season. Set your clock to it. - The first "Israel Folau to go to league after World Cup" story hits the tabloids. The 400th time 'exclusive' is written on top of the yarn. - The Brumbies, due to a disconcerting balanced sheet and dramatic administerial changes, discuss whether to move to Western Sydney. - Several Queensland administrators at last admit their involvement in trying to dock all players in Australia to cure the ARU financial dilemmas. - Billy Pulver says for the first time this year: "Rugby is a better game played by better people." The rest of the world shakes their heads in disbelief. - The cash-strapped Australian Rugby Union, after making the comical error of privately informing NRL officials that they believe league is in worse shape than union, decide to levy anyone who walks past a rugby ground. - First call for the Wallabies to beckon back Kane Douglas from Ireland to improve their dwindling second-row stocks. South African officials start lobbying for at least a dozen Super Rugby teams ... while demanding that sides are also located in the Antarctic, Bermuda Triangle and Siberia. - Second call for George Smith to be rushed into Wallabies World Cup squad. - First time Alan Jones on Sydney radio 2GB criticises the Reds. Former Wallabies No.10 Brian Smith firms as Reds coach. - Waratahs officials suddenly awake from their 20-year hibernation and hold an extraordinary board meeting when told about suggested Brumbies move to Western Sydney, but soon everyone around the table dozes off again. Next Waratahs board meeting is set down for 2036. - South African officials start lobbying for at least a dozen Super Rugby teams to appease almost every faction in their country, while demanding that sides are also located in the Antarctic, Bermuda Triangle and Siberia. A SANZAR official is quoted as saying that he likes the idea but: 'No one gets 100% of what they want. We run a joint venture and like any marriages, you have to compromise. It's a balancing act." - A tired and emotional Waratahs official announces that his team is about to enjoy a succession of title triumphs similar to that of the St George rugby league club back in the 1960s. The official is whisked away by colleagues, and immediately granted six month's stress leave. 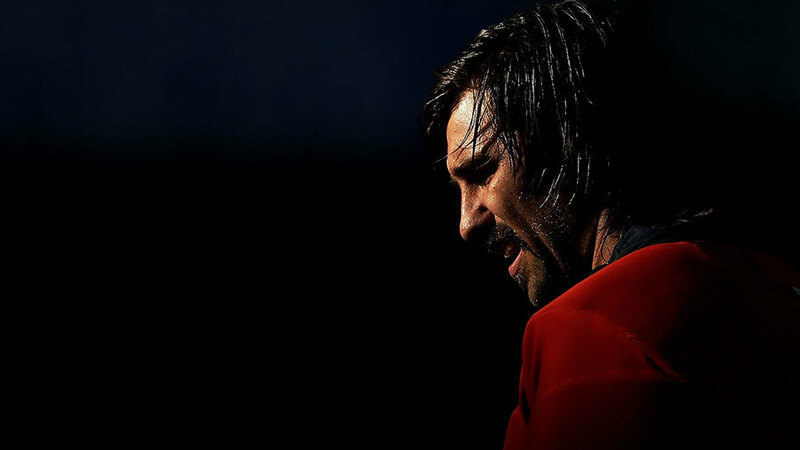 No one notices his departure. - ESPN receives first vitriolic comment from Western Force fans because we didn't pick their team to win the Super Rugby tournament. - SANZAR attempt to police Will Skelton for concussing opposition players by sitting on them. 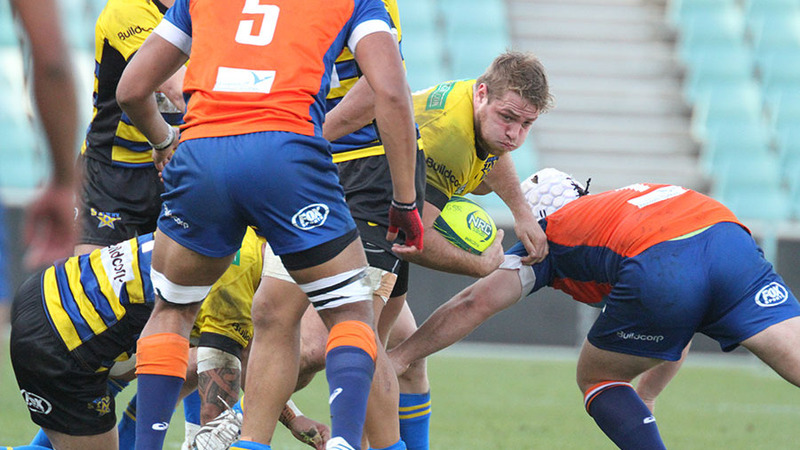 - For the 10th time this year, Sydney clubs threaten to cut ties with the ARU. - Michael Cheika decides to enlist every member of the five Australian Super Rugby coaching contingents to be on his World Cup staff so that "then we will all be on the same page". Several provincial officials knock back Cheika's approach. 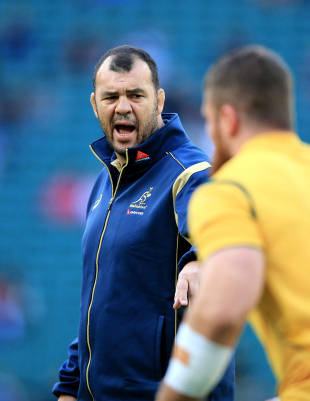 Cheika replies: "The get square will be big." One day later, provincial officials have change of mind and it's again one big happy family. - David Pocock is placed on weekend detention by the Brumbies and the ARU for complaining that he doesn't like Julie Bishop's latest hairstyle. - For the first time in the year, Western Force coach Michael Foley knocks back an interview by a pesky eastern seaboard journalist, telling the scribe in direct terms that he doesn't want to say on the record that he hates the Waratahs for what they did to him. - Fox Sports eventually admits that ratings for 2014 NRC games were "crap", and that continued coverage is highly unlikely. NRC clubs, most of which continue to refuse to pay the participation fee due to lack of help from head office, plead for jerseys that don't feature either yellow or orange if the competition continues for a second year. Jake White puts his hand up to coach the Wallabies at the 2019 Rugby World Cup. - First Super Rugby atrocity of the year. CCTV footage at a casino is involved. - Queensland media push for James O'Connor to be Wallabies No 10 starts. - The forced, silly and often seemingly scripted statements from Nick Cummins start to grate after he is exposed by several opposing Super Rugby wingers. Rudeness towards certain media types also starts to work against him, as they suggest that action not talk is required if he is to make the World Cup squad. - Staff from the impoverished Rebels are relocated to ARU HQ. Even though they are now hundreds of kilometres from their home fans, the Rebels staff don't mind the change, stating "the weather's better". - Billy Pulver announces the new Rugby Championship draw is "now a lot better for the Wallabies because I've ensured we never, ever play the All Blacks". He is photographed in the local press patting himself on the back. - ARU officials man polling booths at a council election concerned that some players may vote left of centre; said officials warn the players that they will be subjected to the Coogee stairs if they vote "radical". - For the first time of the season, Kurtley Beale apologises for an off-field incident and says that he has learned his lesson and will never do it again. - Reds coach Richard Graham denies he is having trouble getting the backing of the senior players. - A high-ranking official demands from a coach why his son has not been picked in an Australian youth team. The reply: "Like you, falters under pressure." Footage of a recent junior international match game is brought up as proof. - Jake White puts his hand up to coach the Wallabies at the 2019 Rugby World Cup. - For the first week in years, Force folk opt against complaining they are victimised. Apparently the email system crashed in Perth for a few hours. - The Reds issue their full support to Richard Graham. - An ARU board member has to resign due to alleged conflict of interests. He says there's only one place for him now. The IRB, I mean World Rugby. You heard right. - In an economy drive, the ARU relocate their head office to Shore School. - James O'Connor is beckoned into the ARU offices to be told that if he is invited to the World Cup squad launch it would be advisable that this time around he actually turns up. - The ARU levies any private school rugby parent who travels to a GPS game in either a Merc, Roller, BMW or Audi. - David Campese forced to apologise over something crazy he said on social media. - The Wallabies are issued an edict: players are not allowed to text message between the hours of 10pm and 6am. - Michael Foley allows one of his assistants to talk to the media. That happens when a lost journo asks for directions to the closest train station. 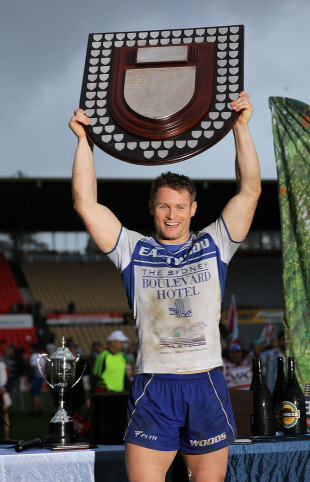 - Sydney clubs sell the Shute Shield trophy as a way of paying ARU player levies. - First mention of the word 'toxic'. Quade Cooper denies all knowledge. - High-ranking ARU officials sighted at Melbourne, Sydney and Brisbane train stations, busking. The most popular song is Brother, Can You Spare Me a Dime?. - Ewen McKenzie sighted in Chile. - The rugby media are levied by the ARU for every pie and sausage roll eaten in the press box. And if they want a Test program, they are told they will have to write in the player's names themselves. Blank spaces have been conveniently left. Pens not supplied. - Yet another plea from Waratahs board members that the deadline for deciding who is going to be their private owner is now more than six months past. A national newspaper quotes one Waratahs heavy for the umpteenth time saying: "This is just not good enough. We need an answer." Another feasibility study is sought. - For the sixth time this season, Michael Cheika threatens to depart Australian rugby because he cannot stand several of the officials at Wallabies HQ. - A man mysteriously looking like Jacques Potgieter, but who gives his name as "Aussie Jack Potts" and speaks in a very thick 'G'day mate' accent, suddenly appears in the Wallabies colours. Michael Cheika denies all knowledge. - The ARU attempts to cover up a Wallabies text message fiasco. Apparently one player has praised a member of the Wallabies team staff and it has thrown the whole organisation into a tizz. They don't know what to do. A spin-doctor has to be sacked as he messed up the leak. - Shore School complains about the ARU office relocation, saying there are no parking spaces for teachers with so many former students now working there and demanding good spots. Wallabies forwards claim they are being victimised by referees who don't give them a fair go at scrum-time. - The Wallabies, for cost-cutting reasons, will now change at the M.J Hawker Stand at Shore School in Northbridge and then be transported to Sydney Test venues so they don't have to pay for a dressing room. - Just days before the first Wallabies Test against New Zealand, the ARU issue a media release that has a blatant dig at the Australia captain … just for old time's sake. - ARU board member and Fox Sports commentator John Eales slightly - ever, ever so slightly - criticises the Wallabies after another embarrassing Test loss. No, hang on; we must have heard it wrong. We did. He instead said: 'There are very, very encouraging signs." - Wallabies forwards claim they are being victimised by referees who don't give them a fair go at scrum-time. The general public rolls onto their left side. - New Zealand Rugby officials knock back a request from their Australian counterparts that the All Blacks are blindfolded for the first 10 minutes to make Bledisloe Cup matches more competitive. - British media amp up their attack on the Wallabies, explaining that it is no point even turning up for the World Cup until they find eight forwards who aren't cream puffs. - Push for Rebels team to be relocated in Japan. - Tired and emotional behaviour involving Brumbies players in Fishwyck. They claim they were only there to buy "fireworks". 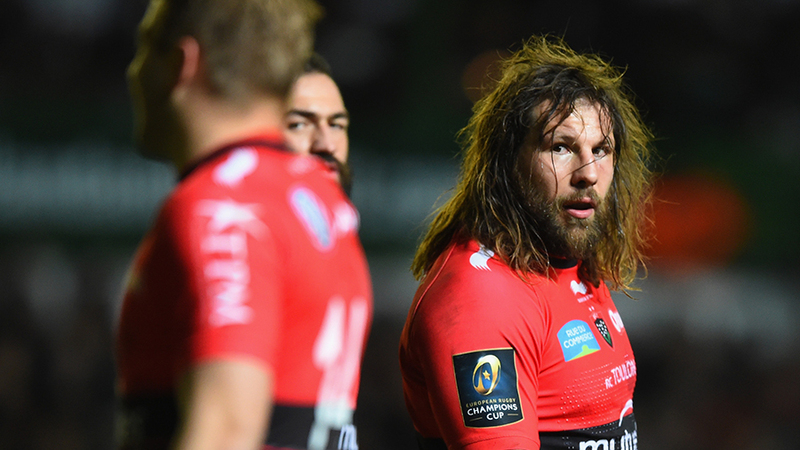 - Claims that volatile prop Martin Castriogiovanni is to play for the Rebels. He is said to like Melbourne, especially the Italian suburbs. - Wallabies supporters attempt to ban the box kick. Prime target? A certain diminutive Brumbies player. - Steve Hansen opts against sledging the Wallabies before a Test for the first time. Says: "Cheika is too unpredictable." - David Pocock's World Cup squad spot comes under question after he upset Brumbies and ARU officials by buying a new chain for his bike. In an official statement, the ARU and Brumbies argue they don't like him being chained up to anything. - ARU budgeting expenses reveal that one of their biggest outlays was to pay spin-doctors in a failed attempt to make some of the officials look good. Levy charges at school, junior and club level are immediately increased. Spin-doctors, between refilling their drinks on a Bahamas beach, immediately bump up the amount on their ARU invoices. Australia score first ever own-try in a Test ... Will Skelton says he was only trying to place the ball back over the line to allow his team-mates to pick up and drive. - Kurtley Beale apologises for another off-field incident and says he has learned his lesson and will never do it again. "I have learnt from my mistakes,' Beale says, refusing to reveal what exactly he had "learnt". - James O'Connor does a Hungry Jack's ad. It's filmed in daylight hours. - The Wallabies lose three players in Birmingham. Their excuse: 'We want to enjoy football tours like the Kangaroos do." Greg Bird volunteers to be tour leader. ARU officials ask: 'Who's Greg Bird?" - Ewen McKenzie sighted in Paraguay. - Australia score first ever own-try in a Test. Everyone blames everyone else. Referee and TMO eventually have to admit guilt. Will Skelton says he was only trying to place the ball back over the line to allow his team-mates to pick up and drive. ARU officials sighted outside Millennium Stadium and Twickenham selling World Cup tickets. When accused of touting, they argue "this is the only way left to stay afloat"
- The Wallabies blood their 18th prop for the season. - The Wallabies play their eighth different No 10 for the season. - South African officials demand at a SANZAR meeting that their push for at least 12 Super Rugby teams has to be taken seriously, otherwise they will play in Europe. New Zealand and Australia immediately call their bluff, by stating "Well, OK, go," and the South African delegation immediately breaks down in tears, saying that it was only a joke …"as it was every other time, except you took us seriously". - Stories emerge that about 20 Wallabies are to leave Australian Rugby after the World Cup. One ARU official doesn't seem too upset, because it means he may get a call-up and he can again put on his green-and-gold jersey, and at last feel really, really welcome in an Australian dressing room. - ARU officials sighted outside Millennium Stadium and Twickenham selling World Cup tickets. When accused of touting, they argue "this is the only way left to stay afloat". 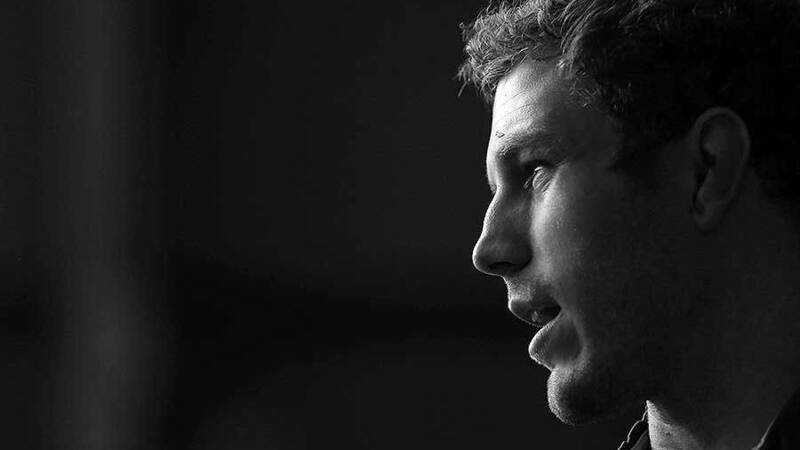 - "Aussie Jack Potts" named Wallabies captain. - The ARU levy every one of their employees, and suddenly wonder why there is spinifex blowing down their corridors. - Ewen McKenzie sighted in Peru. - Michael Cheika seen stalking the streets of Mosman, stating he is "on a campaign of destruction". - Billy Pulver attempts to claim he was a fringe Wallaby. - Israel Folau, Kurtley Beale and Quade Cooper keep going on and on about how much they like the NRL. James O'Connor does another Hungry Jack's advertisement … again filmed in daylight hours. - ARU bosses blame their predecessors of the 1960s/70s/80s/90s and 2000s for putting them in this fine mess. - ARU officials, desperate for government funding - any funding - decide at a board meeting that Test matches should be played as curtain-raisers before Sevens tournament finals. With the Olympic Games coming up, ARU officials demand fact-finding missions to Brazil, saying they are thinking about staging a Test match there. They discover that no one in Brazil gives a rats about rugby, but the South American fact-finding tour continues. - Shock horror. Australian IRB, I mean World Rugby, officials attend one of their meetings. Must be election time. Other IRB, I mean World Rugby officials fall off their seats, and an Australian representative has to be introduced to one of them. He calls himself Peter Brady. - ARU offices now relocated to the Shore School car park.